Our Local Food-South Central and the Sedgwick County Extension Office are excited to announce the first Local Food Connections Workshop in the Wichita area. 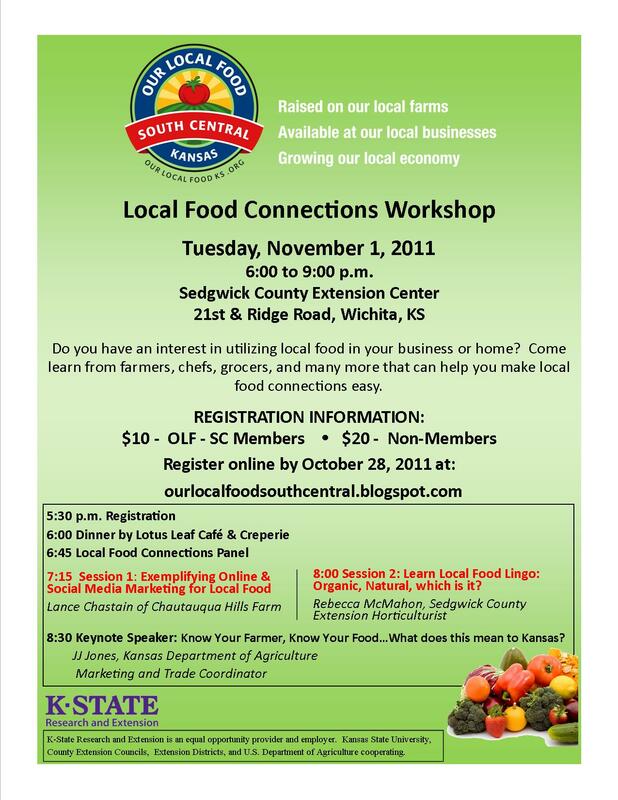 When: November 1, 2011; 6-9 p.m.
Posted on October 5, 2011, in Upcoming Events and tagged local food, workshop. Bookmark the permalink. Leave a comment.